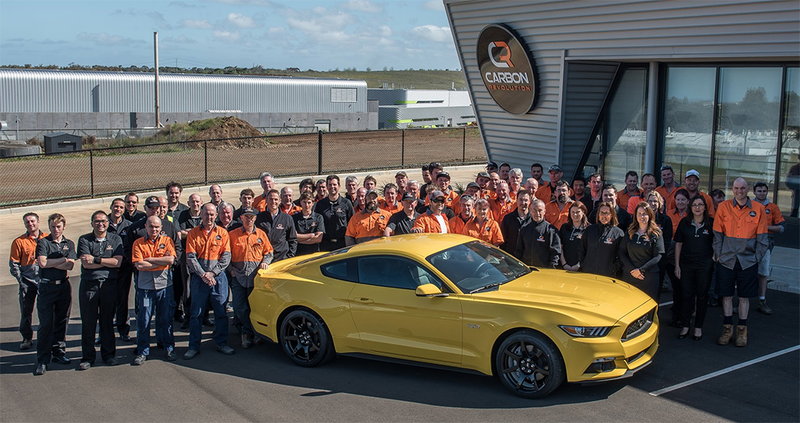 Carbon Revolution opened a new manufacturing facility in the Victorian city of Geelong yesterday where it intends to make carbon-fibre wheels for the new Shelby GT350R Mustang. The new manufacturing facility is located near the Carbon Nexus site of Ford’s carbon-fibre research with Deakin University. Speaking at the official opening ceremony, Minister for Industry, Innovation and Science the Hon Christopher Pyne MP congratulated the Australian owned company on commercialising its high tech products. “Carbon Revolution is a modern Australian success story demonstrating the power of applying research and advanced manufacturing technology to develop world leading products,” Mr Pyne said. The brand-new $25 million facility was developed with financial assistance from the Government. The company has used a $5 million grant from the $29.5 million Geelong Region Innovation and Investment Fund (GRIIF) which was established by the Australian and Victorian governments with support from Ford Australia and Alcoa of Australia as part of their ongoing commitment to the community. “The Australian Government knows that applying science and research can transform business. Our role is to provide an environment that gives Australian businesses and innovators the confidence to grow, create new opportunities and compete in both domestic and global markets,” said Minister Pyne. Member for Corangamite, Sarah Henderson, also congratulated Carbon Revolution. “The success of companies such as Carbon Revolution means more jobs for the Geelong region as seek to grow advanced manufacturing and other emerging industries,” Ms Henderson said. Carbon Revolution is one of 63 suppliers that will make parts locally for foreign Ford factories after the Broadmeadows car assembly line and the Geelong engine plant shut down next year.